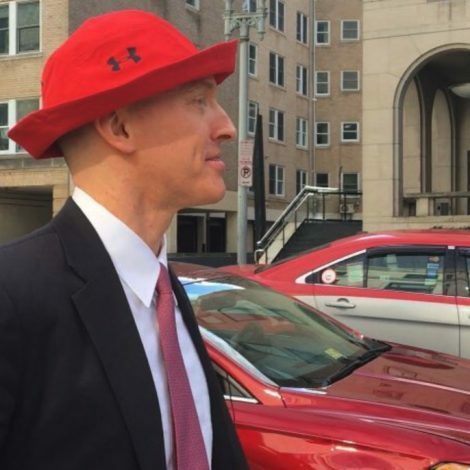 Ladies and Germs, Give It Up For Carter Page! He’s like some sort of weirdly chirpy Nathan Thurm, things just keep happening to him. I cannot imagine why the FBI would have been interested in Russian Agent Page. This entry was posted in 4th Reich, Little-Kremlin-on-the-Potomac, Weirdo Blabbermouth Carter Page. Bookmark the permalink. 5 Responses to Ladies and Germs, Give It Up For Carter Page! He should have had his lawyer present. Idjit. A description on the Internet: Every time Page opens his mouth he confesses to another crime. His DPhil thesis was twice rejected by the University of London before finally being granted basically to get rid of him. His committee said he lacked an elementary understanding of the concepts and issues he was addressing and his analysis was confused. Basically, Page is basically natively smart but lacks any real sense of self-awareness or critical thinking resulting in him doing incredibly stupid things. His Russian handlers laughed at him behind his back all the time. And Pelosi earns a place in the “People We Like” column. It seems like all D’s have at least some redeeming qualities, Traitor Joe aside. I guess it’s the R’s who are all bad. How this ended up here is beyond me.